Dangerous chemicals linked to low birth weights, hormonal imbalances, and even cancer are often found in industrial plants and construction sites, but how did they wind up in America's daycare centers and preschools? 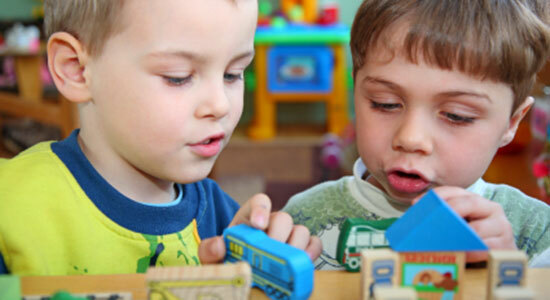 A study published by the science journal, Chemosphere, found that chemicals known as PBDEs are dangerously common in child care facilities. Of the 40 care centers they studied, each of them had at least one of these flame-retardant chemicals in its dust. These chemicals are found in furniture such as couches and sleeping mats. In the event of a fire, the substances slow the spread of flames so they can be more easily controlled. The scientists at Chemosphere worry, however, because of children's tendencies to put their hands in their mouths. If a child eats the chemical dust, there is a risk that it will have negative effects on their brain and reproductive development. Parents concerned with these products can examine furniture's tags for the code "CA TB-117" both at the daycare center and home. This indicates the presence of PBDEs. Chemosphere hopes that their research will bring a change in the standards for purchasing furniture for places used mostly by children. Have You or Your Child been Harmed by a Dangerous Product? While day care centers mean well, some products can seriously hurt your child. If you or a loved one has been injured by a dangerous product, contact us for a free legal consultation. Call us at 1-866-943-3427 or fill out the form at the top right corner of this page to see if you have a case. There are time limits to file a claim, so don't wait. There's no obligation to use our services, so there is no risk to you. Let Edgar Snyder & Associates help you and your child.